SGC Cinema Dungarvan would like you to experience the magnificent events on offer on their screens over the next few months. Giving you access to some of the world’s greatest works right from the comfort of your local cinema, the events on offer range in content so that there is a show to cater to all tastes. Each one engaging and enlightening, these once off events are ideal for a fun and informative evening, and for a class or group outing. 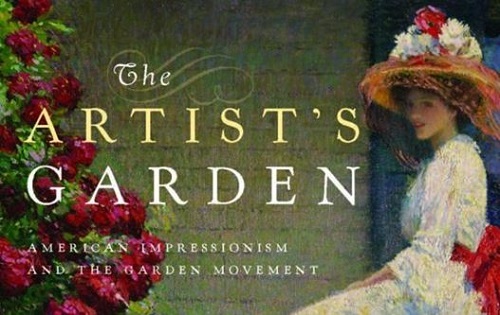 Following the smash hit Painting the Modern Garden: Monet to Matisse from Season 3 comes a new film based on the hugely popular exhibition ‘The Artist’s Garden: American Impressionism and the Garden Movement, 1887–1920’ from the Florence Griswold Museum in Connecticut, widely considered a home of American Impressionism. Taking its lead from French artists like Renoir and Cezanne, the American impressionist movement followed its own path which over a thirty-year period reveals as much about America as a nation as it does about its art as a creative power-house. It’s a story closely tied to a love of gardens and a desire to preserve nature in a rapidly urbanizing nation. Travelling to studios, gardens and famous locations throughout the United States, UK and France, this mesmerising film is a feast for the eyes. Following the smash hit Painting the Modern Garden: Monet to Matisse from Season 3 comes a new film based on the hugely popular exhibition ‘The Artist’s Garden: American Impressionism and the Garden Movement, 1887–1920’ from the Florence Griswold Museum in Connecticut, widely considered a home of American Impressionism. Taking its lead from French artists like Renoir and Cezanne, the American impressionist movement followed its own path which over a thirty-year period reveals as much about America as a nation as it does about its art as a creative power-house. It’s a story closely tied to a love of gardens and a desire to preserve nature in a rapidly urbanizing nation. Travelling to studios, gardens and famous locations throughout the United States, UK and France, this mesmerising film is a feast for the eyes. 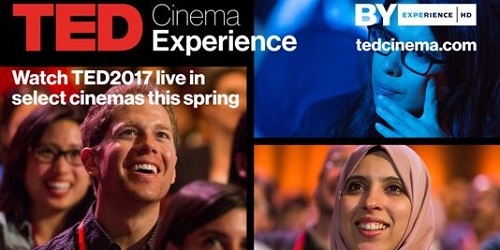 Cinema-goers will get to watch with their communities as the TED Prize winner receives a $1 million award towards a creative, bold wish to spark global change. By investing in a powerful idea every year, the TED Prize accelerates progress toward solving some of the world’s most pressing problems. The session will also feature an update from a former TED Prize winner, as well as talks from exceptional TED speakers. MICHELANGELO Love & Death To coincide with a glorious new exhibition at the National Gallery of London, this film offers a full and fresh biography of Michelangelo who, with Leonardo, is considered one of the greatest artists of the Renaissance – and perhaps of all time. This film explores his relationship with his contemporaries and his immense artistic practice which included painting, sculpture and architecture. Not least the universally adored David in Florence, the Sistine Chapel in Rome and the Manchester Madonna (today at the National Gallery). This major new film goes to the heart of just who was this tempestuous, passionate but much loved genius. This entry was posted on March 21, 2017 by waterfordarts in Art, Film, General and tagged Art Screenings, Cinema, SGC Dungarvan.